"accident of gender" or "accident of birth"
Unlike women leaders and Prime Ministers elsewhere, the existing south Asian pantheon of women leaders has not risen from the political ranks, nor have they had any work experience in any sector of the economy. 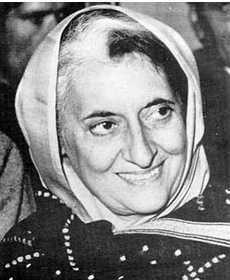 All, with the exception of Indira Gandhi, were inexperienced as politicians and some were homemakers and mothers. Yet they have been Prime Ministers and President. They were fast learners though. South Asian women need to change this record of political inheritance. There are among them, many who are talented and politically gifted to enter the political arena on their own merit. 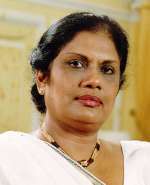 Sirimavo Bandaranaike - thrice Prime Minister of Sri Lanka & daughter Chandrika Kumaratunga, the President of Sri Lanka. 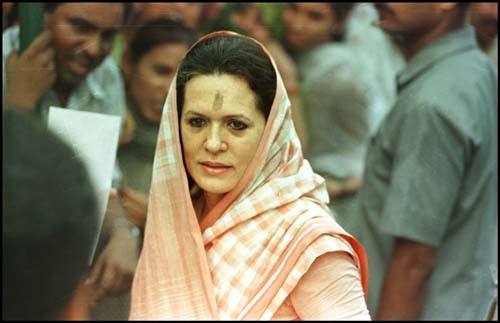 Indira Gandhi, twice Prime Minister of India & daughter-in-law Sonia Gandhi, President of the Congress Party. Zulfiqar Ali Bhutto and Mujibur Rahman were the the two political giants of undivided Pakistan. Bhutto's unwillingness to share power with Mujib resulted in the creation of Bangladesh. Both men became Prime Ministers of their respective countries. Zulfiqar Bhutto was executed by General Zia and Mujibur Rahman was assassinated. Daughters of both the leaders were elected to the office of Prime Minister - Benazir (left) in Pakistan and Hasina (right) in Bangladesh. Khalida Zia entered politics and became the Prime Minister after the assassination of her husband General Zia ur Rahman, who was also the President of Bangladesh. South Asia elected the first woman Prime Minister in the world – Sirimavo Bandaranaike of Sri Lanka - in 1960. That was an ominous beginning. It laid down the emotional tracks, which carried all the subsequent women leaders of the region to the most prominent political position in their respective countries. Sirimavo Bandaranaike in Sri Lanka, Indira Gandhi in India, Benazir Bhutto in Pakistan, Khalida Zia and Hasina Wajed in Bangladesh, and more recently, Chandrika Kumaratunga (Sirimavo Bandaranaike’s daughter) in Sri Lanka – all are daughters or widows of Prime Ministers who, with the exception of Jawaharlal Nehru, faced brutal and violent ends. 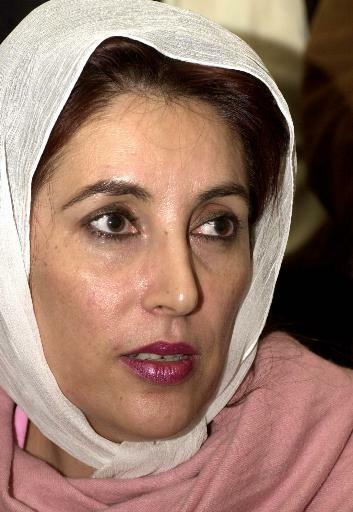 Benazir Bhutto’s father Zulfikar Ali Bhutto was hanged by General Zia; Sirimavo Bandaranaike stepped into her role as the country’s Prime Minister after her husband’s assassination – so did Khalida Zia in Bangladesh. The present Prime Minister of Bangladesh – Hasina Wajed – is the daughter of Bangladesh’s first Prime Minister Mujibur Rahman who was killed one morning, together with 15 members of his family, by four young army officers. These women rode the crest of a massive sympathy wave that landed them in an office they were neither qualified nor trained to hold. All were inexperienced as politicians and some were homemakers and mothers.